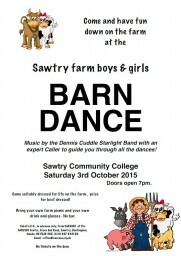 We had a wonderful time down on the farm (otherwise known as Sawtry Village Academy) for our barn dance on 3rd October 2015. Not sure about eagles on a farm! Despite there being a vital rugby match on at the same time!